Every day around the world, Special Olympics ends bullying and discrimination of people with intellectual disabilities—often the most marginalized people in society. Our Unified Champion Schools are shaping a generation of young people who will lead us into a future of inclusion. We are proud of our relationship with the Department of Education and their ten years of support on this work. Three million young people participate in 6,500 Unified Champion across the country. Via Unified Schools, 272,000 students participate in Unified Sports. These opportunities would not be available without this funding. We are on track to reach 7,500 schools by the end of this school year and 8,500 next year. Special Olympics Unified Schools is spreading and being adopted by governments around the world and the United States should continue to be a leader for effective interventions in addressing the fear of difference. 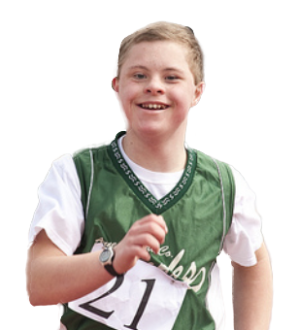 Special Olympics is a nonpartisan organization that strongly supports policies, legislation and practices that guarantee the rights, full participation, and integration of people with intellectual disabilities. Special Olympics recognizes the progress that has been made around the country in eliminating the stigma, stereotypes, isolation, and discrimination that people with intellectual disabilities face—most importantly around access to sport, health, and education opportunities and services. We ask federal, state and local governments to join Special Olympics in remaining vigilant against any erosion of provisions that have made a substantial difference in the lives of people with ID. U.S. Government funding for our education programming is critical to protecting and increasing access to services for people with intellectual disabilities. "All of us at Special Olympics are enormously grateful for the outpouring of support that has come from around the country—young people, teachers, school administrators, family members, volunteers, all of whom who have expressed their enormous support for our work and the enormous urgency of our task. This support has been matched by many members of congress - both republicans and democrats, both national and state level leaders who want the country to feel and understand the urgency of the Special Olympics message. But let me be clear. The traditional Special Olympics program funded by philanthropy operates around the country for over half a million athletes every year provides thousands of events, hundreds of coaching and training opportunities every day around the country and has over 50 years been built on the backs of volunteers and philanthropists. This is not the work being funded by the United States Department of Education. On the contrary, the United States Department of Education, in partnership with state Departments of Education and local education authorities, have contracted with Special Olympics to provide critical educational services in schools, supporting the development of children with special needs, supporting the learning about their peers, and supporting the teaching of critical, social and emotional skills such as grit, perseverance and inclusion. This work, as distinct from the traditional Special Olympics program, is critical to the future not just of education in schools but of the country. Everywhere we look people are starving to be able to infuse our young people with the hope that comes from being inclusive with the confidence that comes with seeing justice realized, with the joy that comes from exercise—exercising their skills in pursuit of a more welcoming future. These are the lessons being taught in schools by Special Olympics programs and they are critically the responsibility not just of the volunteer sector but of our elected leaders." Help ensure federal funding for Special Olympics continues for fiscal year 2020 by urging Members of Congress to sign our Dear Colleague letter. Click Here to Take Action!